Welcome to the world of fantasies, where most people spend their time watching shows that seem to not run out of cliche plots. I have no intention of mentioning the upcoming 2010 Philippine elections; it just so happened that my views have changed not because of the Internet, but mostly because of reality kicking in. The latter applies more, for I was able to recognize my country’s flaws and compare it to one of the most livable countries in the world—the place where I now live. I could imagine some people would say, ”You traitors!”. Just because I live in a better country doesn’t give me the right to condescend my fellow Filipinos. In fact, it’s the other way around. I learned to understand the Philippine history, culture, and society from the perspective of a Filipino living in another country. This is why I became an Anti-Pinoy. When I arrived in Canada a few years ago, everything was refreshing. The air was clean, there were trees in every street, and the cars on the road were following traffic. At first I thought it was because of the snow, that the surroundings was white and clean. But then I realized that there was more to it. This was not just a new country—the people, culture, and laws were very different. It was huge change from the typical and Filipino lifestyle that I was used to. Jetlag was one thing; but homesickness was worse than that. Despite getting used to living here with an Asian market just two blocks away from our house, something was still missing. I think this is how it feels—after years of living in one place and you move to another you realize that something is missing. But because I had to grow and adapt, I learned two things: discipline and responsibility. Two traits that all Filipinos need to practice. Without these two, a country wouldn’t progress. South Korea wouldn’t be the world’s leading manufacturer of major companies if it wasn’t for their discipline, perseverance, and nationalism. I know that Filipinos can be disciplined, can persevere, and can adapt. But sometimes, Filipino pride goes too far–so far that other Filipinos would blame other people’s actions that results into a humiliating act. There is nothing wrong with being nationalistic and patriotic. I’m all for it because I also do it. But to reach a consensus? Filipinos are not there yet. The people needs to change. And this change involves the impending elections on May 10. I’m not going to dictate why you should vote for my preferred candidate. Instead, I will tell you to vote who you like not because of their popularity, winnability, or lineage, but because of what they have done and what they can do more. A citizen has the right of suffrage so as much as you can. Go ahead and practice it because this is not for just you, your families, nor your future generations, but for your country. I learned that a person can change if the person initiates the change within oneself. However, in order to change oneself and others, there should be conditions and restrictions implemented so that discipline and responsibility will take effect. And who will enforce these “rules”? It can be yourself, a friend, your parents, the company CEO, or the leader of your county, as long as these laws are for other person’s best interests at heart. In a perfect world, there is no perfect leader who tells you what to do because the reality is, they also think about themselves and how they would benefit from their position. There is no perfect person who can change overnight and be all saint-like. It takes practice and experience to be a great leader. So, let’s set aside those overactive imaginations (which should be in our dreams, actually) and pointless shows. Time to wake up and smell the garbage. There you have it, my friends. One proof that I have changed after living in another country for two years. Two years. It took me two years and a blog to realize these unacceptable truths about myself as a Filipino and the people. It’s quite disappointing that somehow, I’ve lost my faith to my fellowmen. I’m not saying that I hate the Philippines, because I still love it, and it will probably never change. I guess the country and its people need a lot of tweaking to run again. For the record, I have never seen the TV show Agua Bendita. I just saw this ad on a Filipino newspaper. I’ve seen The Last Prince, when our TV provider offered a 3-month free preview of one network a while ago. When I saw it, I thought it was so bad because it was hilariously good. I wrote this post because I was inspired by Anti-Pinoy. It’s a blog about the Philippines and its dysfunctional culture, politics, media, and society. I read this blog because I want to get a different view of things—that is, from a critical (and harsh) perspective. I’m not lying when I say that this website is harsh. It’s not for the overly sensitive and patriotic Filipinos. I also recommend Get Real Philippines! where they talk about harsh truths. Because I wrote this more than 4 years ago, I forgot why I wrote this essay. I wouldn’t even call it an essay; it’s just an opinion piece because the May 2010 elections was coming and I was reading a lot of Anti-Pinoy. What I find interesting is that looking back, it’s amazing how I still feel the same way about the Philippines today compare to when I wrote it four years ago. What a difference four years can make. I’m voting for the first time as a Canadian citizen. I became a Canadian citizen March this year. I renounced my Filipino citizenship and swore to Her Majesty and sang “Oh Canada”. It was a surreal experience, and it hasn’t sunk in to me yet that I’m now a Canadian citizen. I’m voting because I want to experience a Canadian election. I’ve only voted once in my life. I was 18 and there was a municipal election for city councilors and district representatives in Pasay City, Philippines. I was excited because I was voting for the first time. I was also uninterested because I wasn’t familiar with the candidates. When I went to the voting location, I didn’t expect it to be loud, crowded, and chaotic. The process was slow and confusing. It was disappointing and discouraging for first-time voters like me. Nevertheless, I’m still looking forward to voting—whether in the Philippines or here in Canada. I’m voting because I want to vote. I want to know what it feels like to vote and how it feels like a year after the elections. I’m not political, despite what some of my friends think. I still have a lot to learn and understand in politics. I don’t know all the political spectrum, party politics, and ideologies. I don’t read the news everyday. And I certainly I don’t know all the Canadian officials, cabinet members, MPs, and MLAs. But I was born and raised in a country where government officials do atrocious acts for power and money. These people who were elected to serve the country steal the citizens’ hard-earned money and live extravagant lifestyles as they watch the poor suffer the consequences. I’ve been disappointed far too many times with Philippine politicians. 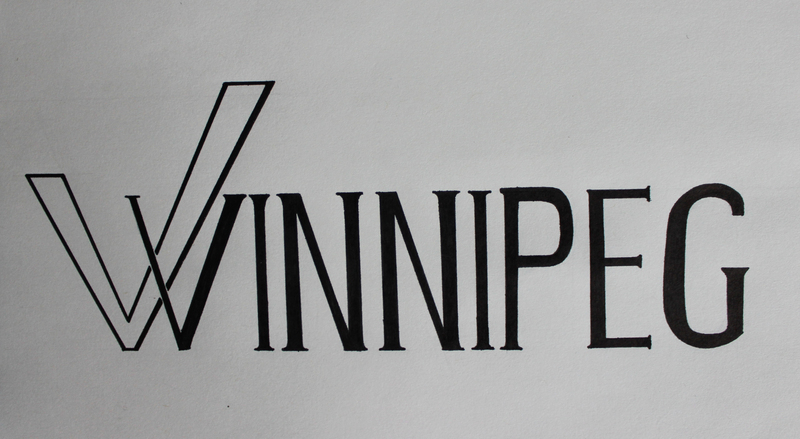 But that’s why I’m voting—because I have hopes for the City of Winnipeg. This city is now my second home—I want it to prosper and to be livable. Voting gives me hope that I could make a difference because I now live in Canada. Now, if only I could figure out who to vote at the 2014 Winnipeg Civic Elections on October 22nd. Hi. I’m Lora, and welcome to my website. In a few weeks I’ll be changing this website to The Hyphenated Filipino. What is the Hyphenated Filipino? The Hyphenated Filipino is a Filipino or Filipina who have a dual individuality. Some of them live in the Philippines, some of them live anywhere but the Philippines. Some of them have embraced the country they live in while practicing their culture. Some of them live in the capital but they were really from the south. Some of them support the current government, some of them disagree. If that sounds like you, welcome. If you’re not a Filipino and none of these resonate with you, you’re still welcome. If you feel like you’re going through the worst time of your life, think about others who are going through something much, much worse. If you think that getting 3 or 4 hours of sleep everyday is bad already, think about the thousands of people who couldn’t sleep at night because they lost their homes and their loved ones. If you feel like getting sick because you don’t have an appetite, think about the thousands of people who haven’t eaten anything or drank clean water for three days. If you feel stressed with the pressure of school, family, and other extra activities, just think that there are others who have lost their homes, their livelihood, and most of all, their loved ones. Typhoon Haiyan hit the central Philippines November 8th, Friday at 2 a.m. The strong winds hit the central region (or Visayas region) that affected the islands of Leyte and Samar. This region was the most hit and devastated by Haiyan. I’ve been watching and reading news about this devastating tragedy that happened in my country and to my fellow Filipinos. This tragedy reminded me once again of their strength amidst the challenges and difficulties. They inspired me to work harder–even if I don’t get enough sleep, if I don’t eat enough food, or if I break down due to stress–what they’re going through is nothing compare to what I’m going through. I could hear my friends telling me: just think of the typhoon Haiyan victims and compare their lives from yours. Then you can complain. I came across Anderson Cooper’s reporter notebook who went to Tacloban and talked to the people. His essay brought me back to reality. When everything else is taken away, broken, battered, soaked, raw, stripped bare, you see things. You see people as they really are. This week in Tacloban, Samar and Cebu, amidst the hunger and thirst, the chaos and confusion, we’ve seen the best in the Filipino people. Their strength, their courage. I can’t get it out of my mind. Imagine the strength it takes for a mother to search alone for her missing kids, the strength to sleep; on the street near the body of her child. We’ve seen people with every reason to despair, every right to be angry, instead find ways to laugh, to love, to stand up, to move forward. A storm breaks wood and bone, brings hurt and heartbreak. In the end, the wind, the water, the horror it brings is not the end of the story. With aid and assistance, compassion and care, this place, these people…they will make it through. They already survived the worst. They’re bowed, perhaps tired and traumatized, but they are not broken. Mabuhay Philippines! Maraming salamat for all you’ve shown us. Maraming salamat for showing us all how to live.